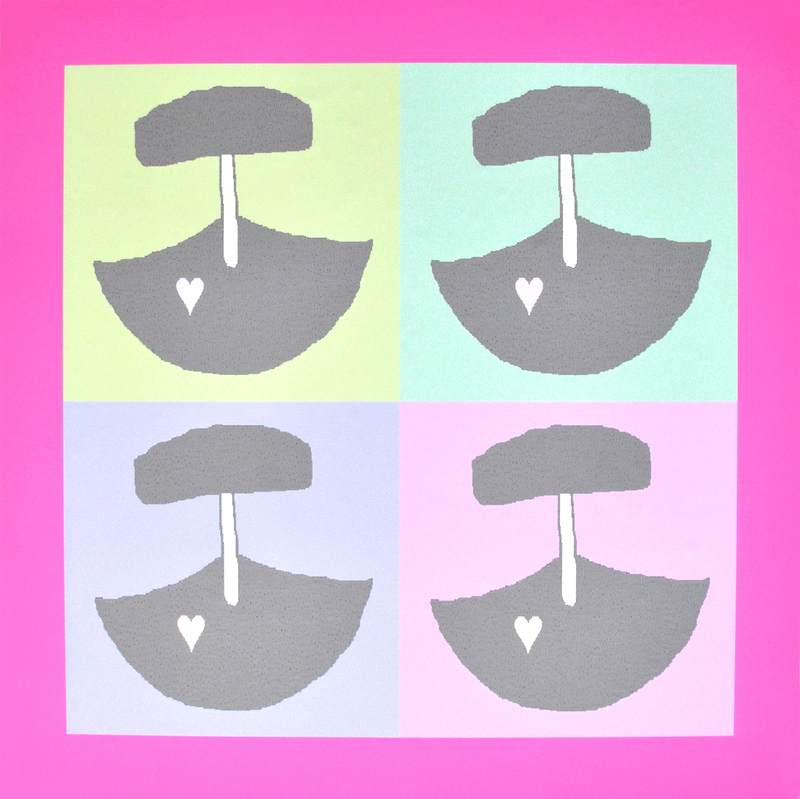 Suzanne Morrissette is a Metis artist, curator, and writer from Winnipeg. She received a BFA from Emily Carr University of Art & Design in 2009 and an MFA in Criticism and Curatorial Practice from OCAD University in 2011. In 2017 Morrissette completed her PhD in Social and Political Thought at York University, which took an interdisciplinary approach to probe the historical lineage behind contemporary perceptions of Indigenous political knowledge in mainstream North American society, particularly those which characterize resistance to state powers as aggressive or anti-progress. Kevin Myran is the coordinator at the Toronto Council Fire Native Cultural Centre and runs “Little Embers,” a program which educates students on Anishnawbe culture and perspectives through the art and experience of storytelling. Drumming and storytelling will support the student creative process by deepening their self-awareness and connection to their own artistic voice, while fostering respect for ritual and community. Kevin is from the Dakota First Nation of Birdtail Manitoba. He is the father of seven children, and he has one grandchild. Kevin is a First Nations drummer, dancer, and pipe carrier. RM 510, 205 Richmond St. W.
To create a library of images of art, artists, curators, exhibits, activities etc. 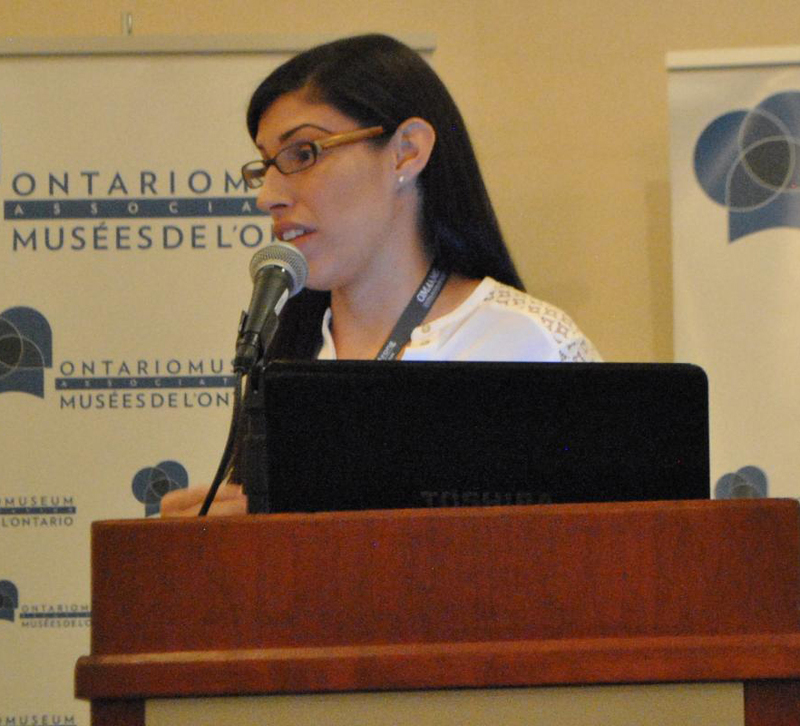 In the summer of 2016, Rhéanne Chartrand was invited by Dr. Gerald McMaster to conduct research in relation to the development of the course, Issues in Indigenous Curation. 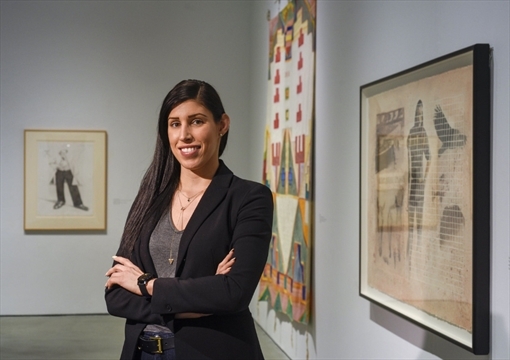 As an emerging curator, Chartrand embraced the opportunity to reexamine the Indigenous art historical record to gain a fuller sense of the emergence and development of Indigenous curatorship, and the key themes, issues, and shifts that emerged out of, or in response to, its articulation. 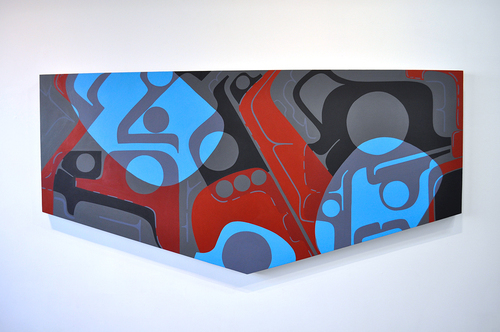 Ryan Rice, a Mohawk of Kahnawake, Quebec received a Master of Arts degree in Curatorial Studies from the Center for Curatorial Studies, Bard College, New York, graduated from Concordia University with a Bachelor of Fine Arts and received an Associate of Fine Arts from the Institute of American Indian Arts, Santa Fe, New Mexico. 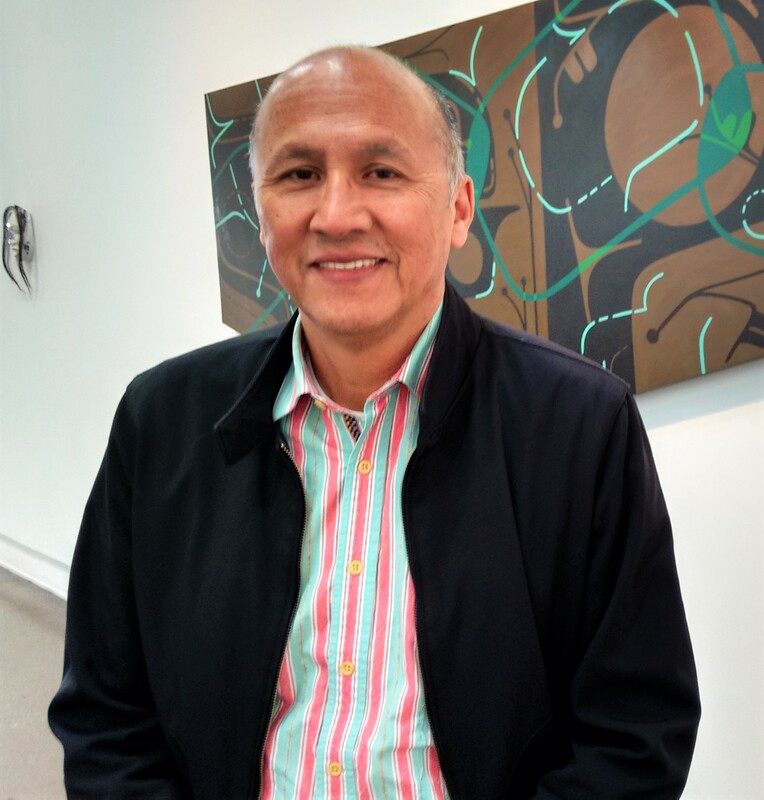 He has worked for the past 18 years within the museum/art gallery milieu at various centers including the Iroquois Indian Museum, Indian Art Centre, Carleton University Art Gallery and the Walter Phillips Art Gallery. Since the dawn of history, art has enabled people the world over to understand themselves, their environments and their relations with others. 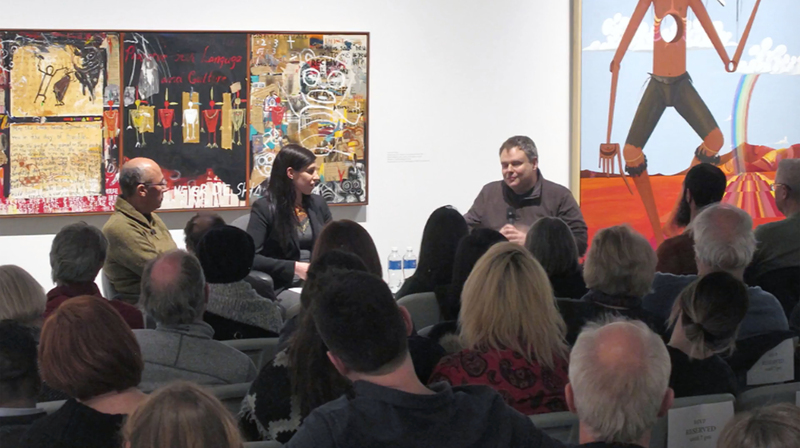 That “ethical” dimension of art as it is brought into being by Indigenous artists is at the heart of Dr. Gerald McMaster’s current research and exhibition. McMaster is a Plains Cree and a member of the Siksika First Nation. Since February 2016, he’s also been OCAD University’s Canada Research Chair (CRC) in Indigenous Visual Culture and Curatorial Practice (the first researcher at an art and design university to be awarded a prestigious Tier-1 CRC appointment). To this position, McMaster brings decades of experience as a writer, artist and curator who has worked at the Canadian Museum of Civilization, the Smithsonian’s National Museum of the American Indian and the Art Gallery of Ontario (AGO). While his official CRC title references “visual culture,” McMaster’s research in fact challenges Western society’s longstanding privileging of sight over other senses, perhaps especially in the study of art. McMaster was first drawn to this question by the discovery on Baffin Island, in the early 1970s, of a small wooden sculpture of a Nordic traveller made by an Inuit carver ca. 1250. More recently, his interest was galvanized through involvement with the AGO’s acquisition of a rare Haida sculpture from the 1860s of a European sea captain. Since then, McMaster has broadened his scope to understand and document further examples of the reverse gaze across North America and beyond. On this topic, McMaster recommends David Abram’s The Spell of the Sensuous: Perception and Language in a More-than-Human World (1996). Could there be two more different regions than the Arctic and Amazonia? Separated by vast distances and subject to utterly different climate conditions, have the original peoples of those two zones anything in common? As McMaster and his collaborator — Dr. Iris Edenheiser of the Reiss-Engelhorn Museen in Mannheim, Germany — endeavour to tackle these and other questions, one of the issues that fascinates them is the history of European representation of both the Arctic and Amazonia as “fantastical, mysterious” places. In addition, McMaster and Edenheiser are seeking to document the material technology Indigenous peoples used to survive in those challenging environments. “The contemporary rise of ‘indigeneity’,” McMaster explains, “concerns the maintenance and expression of an Indigenous sensibility in a globalized world.” McMaster’s third CRC project — examining Indigenous artists communities at Cape Dorset (on Baffin Island) and Papunya (in Australia’s Northern Territory) — cracks open that subject by exploring the history, present and future of those “isolated” (a “southern projection”) places. Working with Steven Gilchrist, an Indigenous scholar from Australia, McMaster hopes to illuminate the cultural, social and political forces at play in both communities. How, in Papunya and Cape Dorset, did artists who had never been trained in conventional art schools produce works that have gained such international acclaim? And how are changing economic circumstances — regionally and in the international art market — affecting Indigenous artists and their communities? Many threads of McMaster’s Indigenous creative culture research are woven into Indian Acts: Truths in the Age of Reconciliation, an exhibition he has curated at Toronto’s Katzman Contemporary gallery. Indian Acts draws together the works of three young Indigenous artists: Sonny Assu, Nicholas Galanin and Geronimo Inutiq (madeskimo). With thanks to Marianne Katzmann and Dario Del Degan for generously sharing the Indian Acts exhibition images used in this article. The art that appears at the top of this feature is Nicholas Galanin's S'igeika'awu: Ghost #002.